The J Center for Early Learning is passionate about providing an innovative learning environment for El Paso’s youth. The school embraces families from all backgrounds, while teaching core Jewish values of community, tolerance, and respect. Teachers work collaboratively to create environments and experiences that spark wonder and creativity, build confidence and skills, allow children to explore materials, and encourage questioning minds. We partner extensively with families and community members to enrich our school environment. We are caretakers of each other, our school community, our city, and our planet. 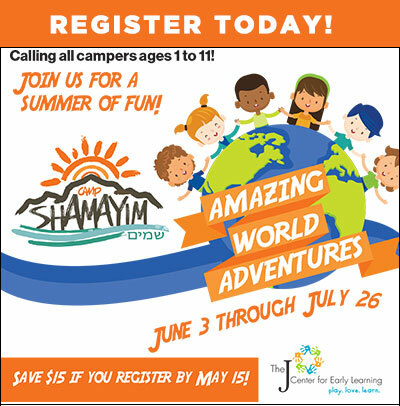 Please click here to schedule a tour or click here to complete a registration packet online. Early Einsteins starts at 7:00 a.m. and Afternoon Adventurers goes until 6:00 p.m. Registration Fee – Thank You!